Hallelujah! President Trump has fulfilled his campaign promise to move the U.S. embassy to the capital of the State of Israel, Jerusalem. He has thereby distinguished himself from his three predecessors, who campaigned on the same promise but, once in office, reneged. Mr. Trump has not only brought U.S. policy into alignment with the practice worldwide of locating our embassies in the host nation’s capital. He also called the bluff of Palestinians and others who warned of dire consequences if that were done in Jerusalem. Mideast expert Daniel Pipes has long argued that the Palestinians must come to terms with the reality of their defeat at Israel’s hands if there is to be a real peace between the two parties to the Mideast’s most intractable conflict. 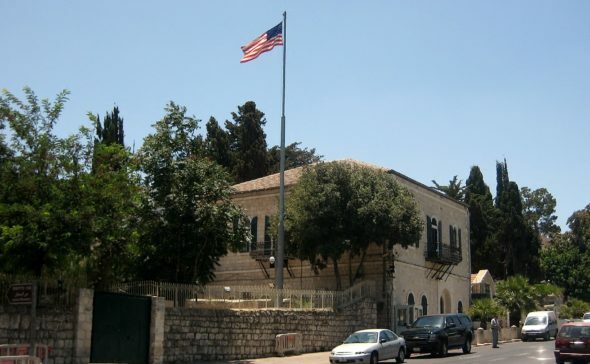 The embassy move should, therefore, be seen as an inducement – not an impediment – to such a reconciliation.